Great news! Alice Pearl (now Katelyn Pearl) found her forever home two nights ago, and is officially en route home to her new Momma, Ashley! Thanks so much for the compliments on her, Kathy & Ashley. I hope you adore her just as much as I do! My version of Sofie, by Denise Pratt, sold SO fast. OMG! No complaining. But waiting on knit hats and headbands and then rainy overcast weather today meant I still haven’t finished “Leah” or “Meg’s” photoshoots (tomorrow, weather permitting). 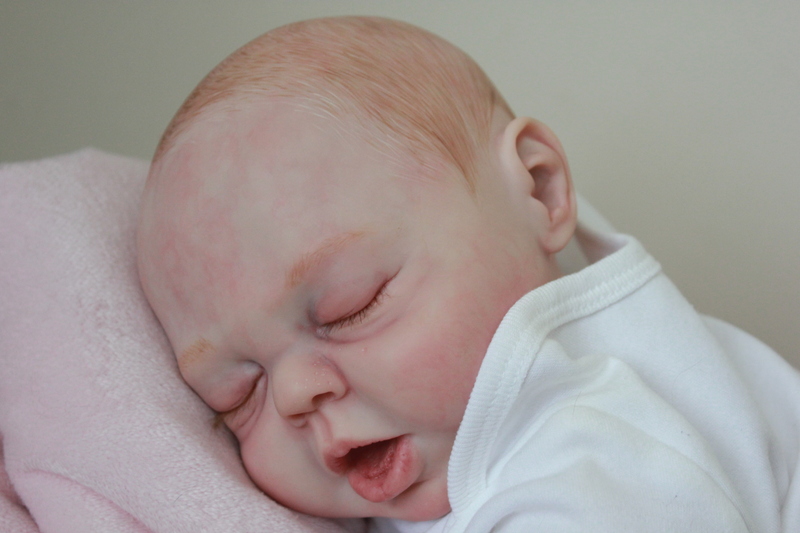 This entry was posted in Uncategorized and tagged adopted reborn, affordable reborn babies, alice pearl, jonah joshua, painted hair, reborn for sale, Sam by Marissa May, sofie by denise pratt. Bookmark the permalink.